Q. How many Wiki people does it take to change a lightbulb? A. One, but anyone can change it back. First of All... What is a wiki? (what you see is what you get) method. View Video of a wiki. always accessible. Fostering classroom collaboration becomes much easier. Expand Horizons Globally – Share and interact with other classrooms or groups, across town or around the world. There are many different types of wikis available to use and Wikipedia is the most famous of them. I have two that I like to recommend for the classroom. One is pbworks and the other is wikispaces. Both are great and may serve different audiences and needs. Today I will be taking a closer look at pbworks. Pbworks is user-friendly, offers a free classroom teacher account and gives the option of creating student accounts (up to 100 students) without the need for students to have their own email and to have to create their own account. PBWorks is basically a personal website, wiki, and discussion board all in one online source. The pages in PBWorks are called workspaces, which can be edited just like any word document. You can import images, videos and links. These workspaces can then be shared with others either publicly or privately with pre-determined people. You can also control the level of editing those who access the workspace can have. 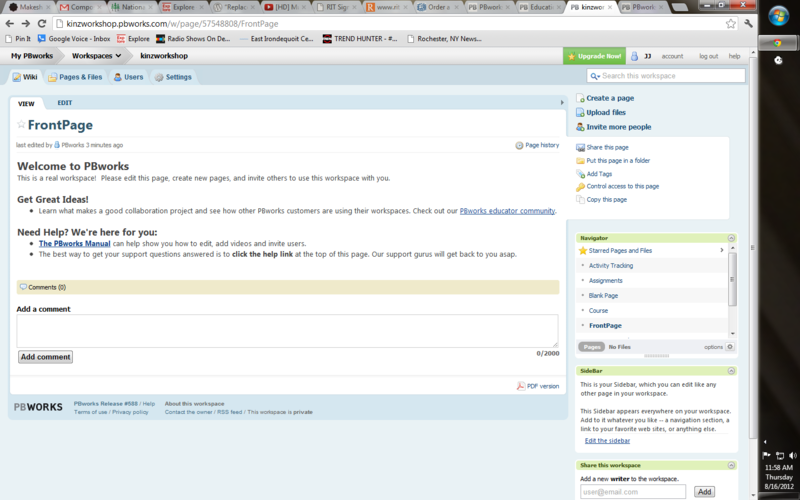 You can also allow others to just view or read the workspace, add to (write) or edit the contents of the page. In addition, there are other features on the page that are ideal for teachers to use as their classroom webpage. There are workspaces to post assignments, your class syllabus, and keep track of any other workspaces you want to create. Students can also have their own workspace where they can keep track of their assignments and notes, post homework or download files. You can create workspaces that students can use to collaborate, and since you control who can access the workspace and what they can do that workspace, it is ideal for group projects. Access to PBWorks is free for a basic workspace. This basic workspace is ideal if you just have one course, however if you need multiple courses, you will have to upgrade to a classroom or campus edition. The classroom edition gives you more storage space and options and costs $99 per year. The campus edition gives unlimited workspaces to up 1000 users and costs $799 per year. We will be creating our own PBWorks accounts, exploring the tools, and thinking about how to use this tool in our own classrooms. First let's take a look at my workshop wiki and I am going to ask you to respond to a couple questions on the wiki and get a feel for how it is to actually use a wiki in a collaborative manor. 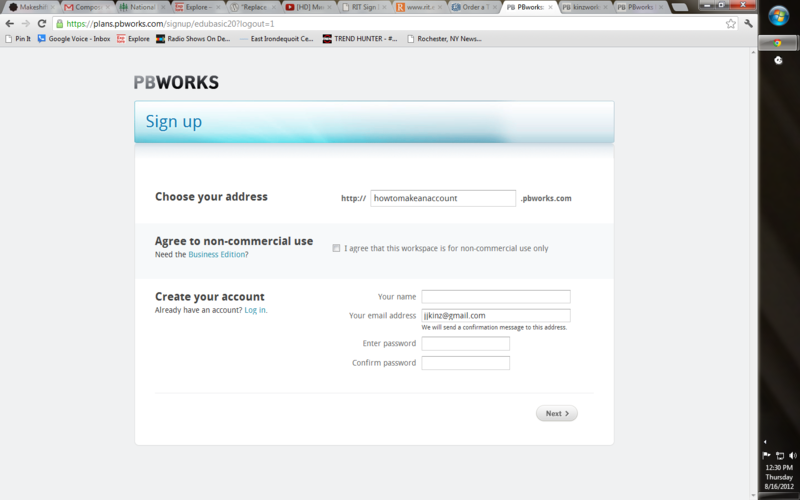 Now create your own PBworks Education account. It is quick and easy! 1. 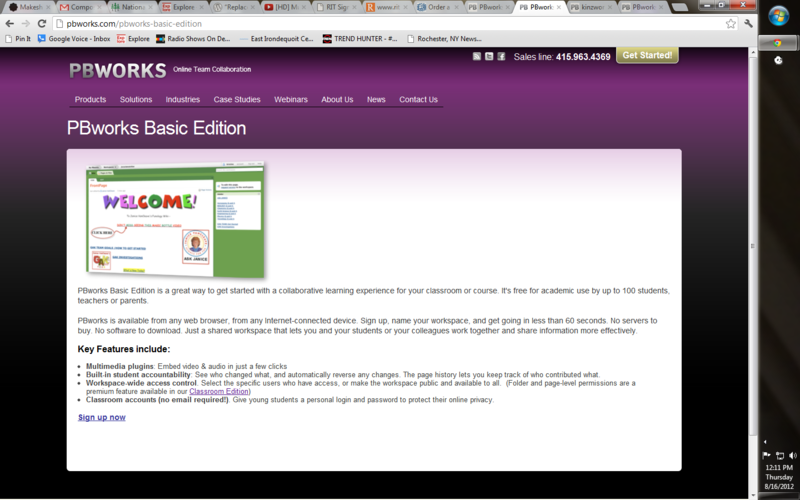 Click on the following link http://pbworks.com/using-pbworks-individual-classrooms and choose the Basic Edition option. 2. Click on Sign up now and start the process. 3. Type in the name of your wiki. This will be the URL address that your students will use to find your wiki. 4. Choose your security settings. If you wish to keep your wiki private for only invited members (students) to view, choose Only people I invite or approve. Accept terms of service and then click on Take me to my workspace. 5. 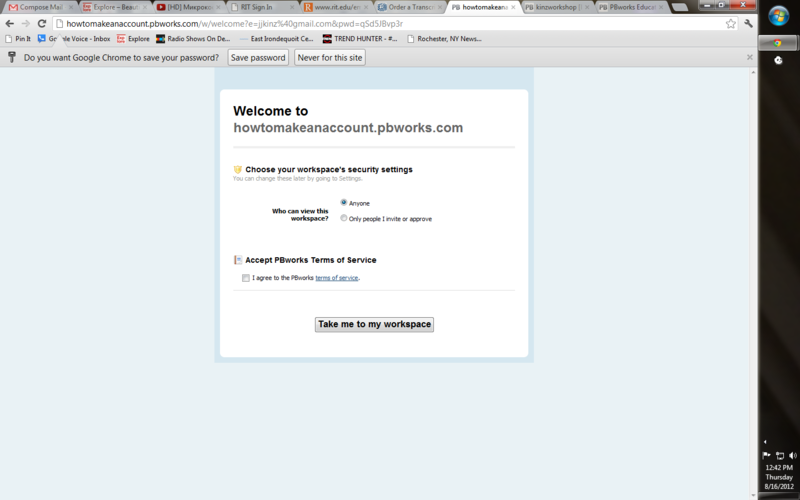 Check your email for a verification notice and click on Active your PBworks account now. 6. Welcome to your home page! This is the first thing that your students will see when they arrive at your wiki. Notice at the top of your page that there are four tabs. The first tab labled Wiki is your working wiki page view. The other three are tabs for behind the scenes management. You have two sub-tabs on this page. View and Edit. Only people with permission to edit will be able to view the edit tab. Click on the edit tab and you will see a simple WYSIWYG editor similar to email or word. At the top of your workspace you will see the word FrontPage. Next to the right of the word is a small symbol - click on it to rename your home page and then click the Rename button. Take a look at the editing tools. Here is a link to an explanation of all the tools. 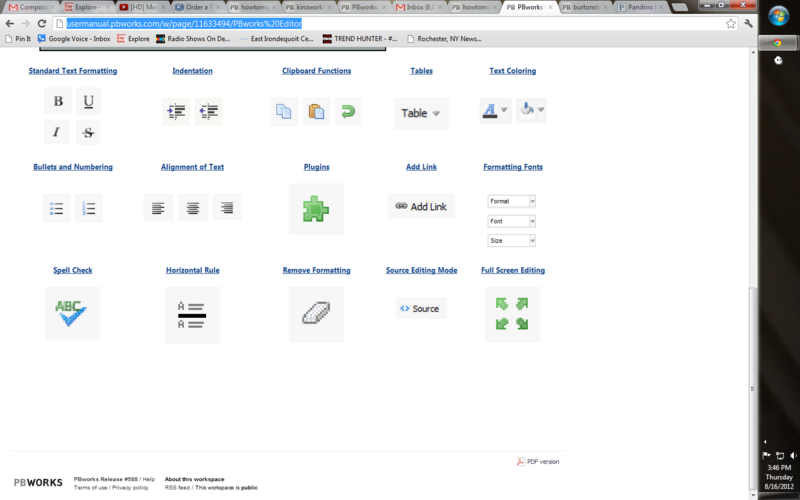 Below is a screenshot of the tools. Most of the tools are the same that you are already using in most computer programs. One that stands out as very different is the Plugins tool. 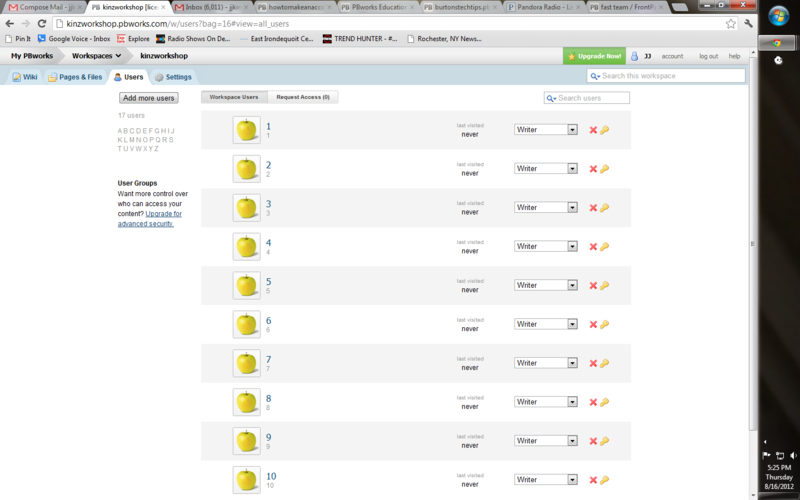 Click on Plugins to view the drop down menu. Here you can select from several options. We will be discussing plugins in more depth later in the workshop. 7. Take a few minutes to edit your FrontPage with an introduction to your wiki. 8. How to add users for your classroom without email addresses. Click on the users tab and then click on the add more users button. Here is where you can add email addresses if desired. 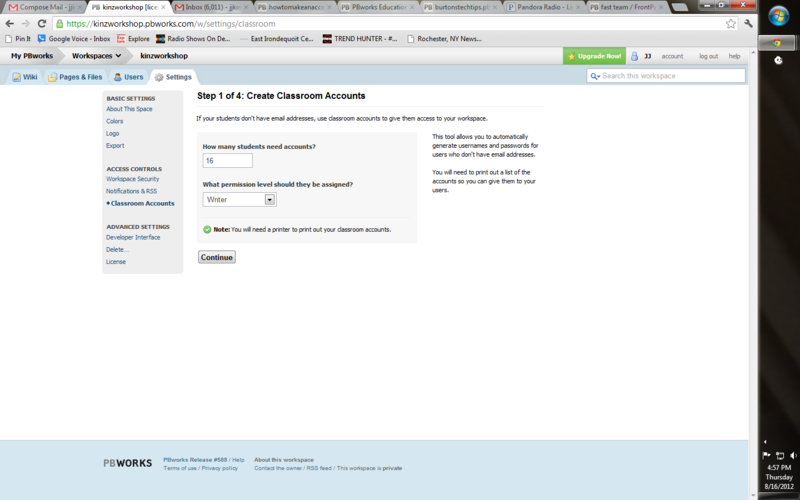 To create with email addresses click on If your students don't have email addresses, create accounts for your students. You will be given an opportunity to print out username and password strips for students. 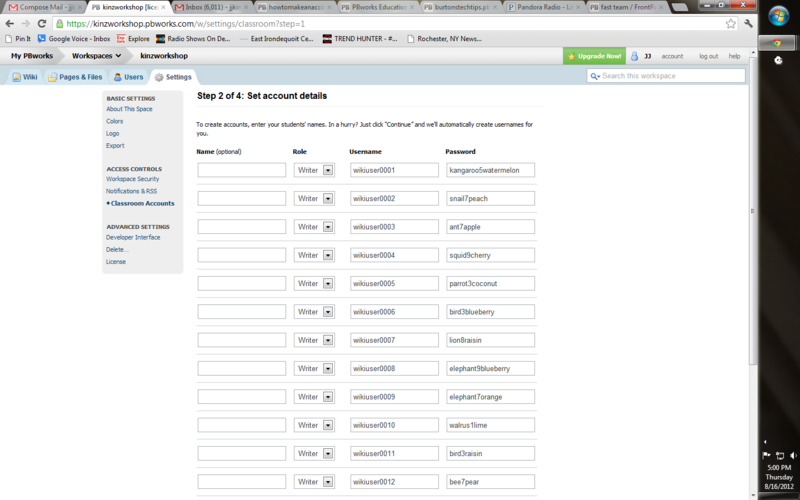 Here is what you will see in your account after you have created your accounts. 11. 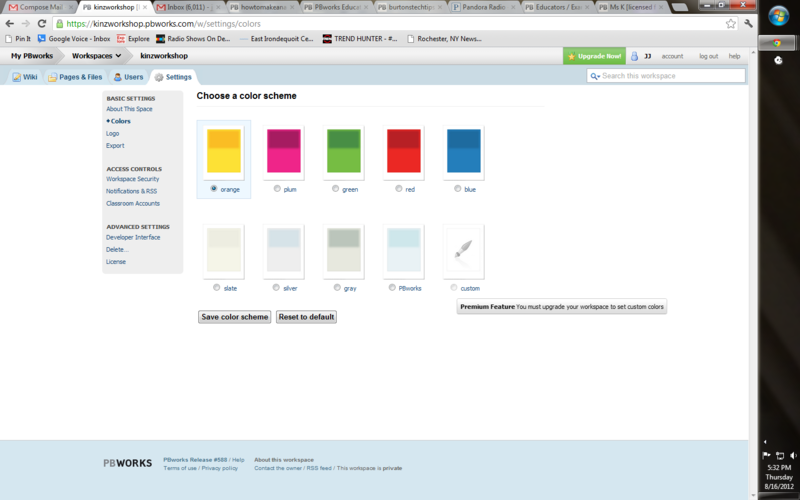 Click on the color option to personalize the look of your wiki. Choose a color and then click save. Now that you have a basic wiki created, let's take a look at how to create spaces for student work. 12. 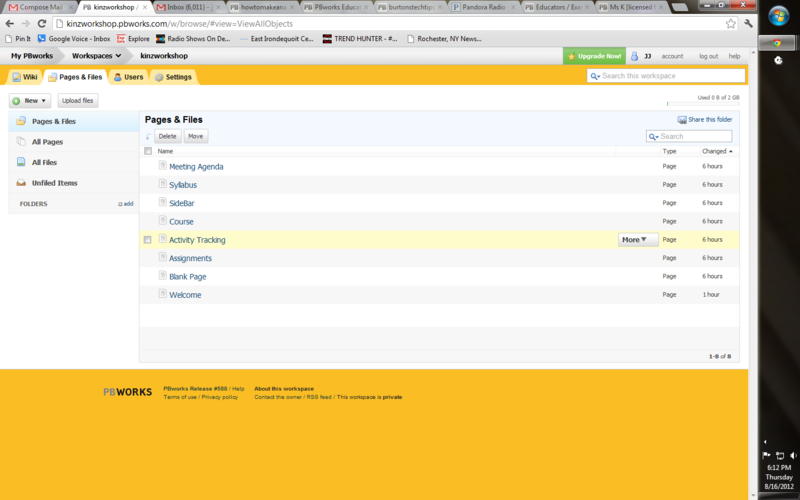 Click on the Pages and Files tab at the top of your wiki. 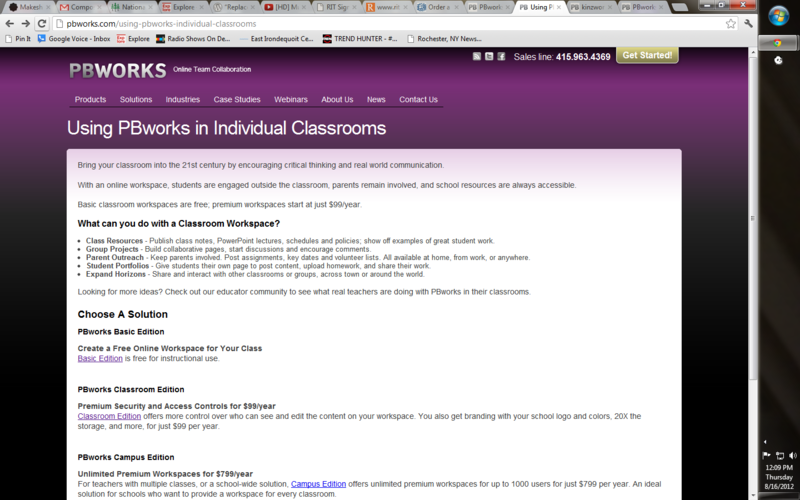 PBworks automatically provides several pages designed to assist you in setting up a classroom. Each of these pages are templates that you add text to. If you don't want them showing up in your Navigation window, click on the more next to your pages and choose delete. 13. There are several ways to create a new page for your wiki. The most direct way is to click on the Create a page button on the upper right of your page. 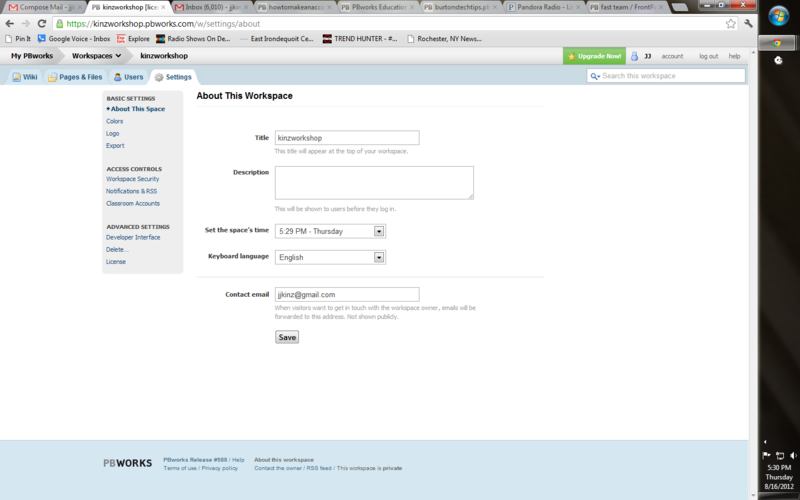 A form will appear that lets you input the title of the new page, and select a template to use. Make the appropriate selections, and click "Create Page." 14. To create folder for sections of pages used in courses, chapters, units etc... go to Pages and Files and then click on Click the "New" button and choose "Create a folder...": Rename the folder and it will show in your Navigation bar. New pages can be added to the folder and it is possible to put folders within a folder and to also set security on folders. 14. Upload files by clicking on the Upload File Button on the top right of your page. Then browse to the file you wish to upload and click on it and then click on open. The file will not appear on your page, but can be found in the side bar and inserted as a link when in edit mode. Click Edit and then on the right side of the page you will see Insert Links. Choose Pages or Images and Files. There you will see the file that you uploaded. Click on it to insert it into your open page.